Why I choose Medilodge for my Rehabilitation Center? Let me count the ways. First and foremost, through prayer, I was blessed to make connections with Jackie, Director in Admissions, who helped me to make the right choice to rehab at Medilodge from reconstructive hip surgery. Jackie was my guiding light for months before surgery, during the 3 weeks that I spent at Medilodge, until the day that I was discharged. Jackie was Johnny on the Spot in assisting me with my business obligations concerning copying, faxing, printing and emailing important deadline documents. Even, on the day that I was discharged, she printed out a FedEx label because I don’t have a printer at home which saved me $50 on a deadline return. I am so appreciative to Jackie for being there for me in every way. I attribute my recovery to the skilled Therapy Team who worked diligently with the Nursing Staff to ensure that my pain medication was scheduled which was vital for me to achieve maximum progress in therapy. Jen in Scheduling was so accommodating in scheduling my post surgery and dentist appointments. I send a warm shout out to the entire nursing assistants aides which are to many to name who were so compassionate and treated me like family. Chef Olivia went beyond the call of duty to personalize the meals that she and her kitchen team served to the residents. Medilodge spoiled me because the first thing that I missed when I got home was having my meals prepared and delivered to me. Thanks to JoAnn in housekeeping who helped me to finish packing and loaded my belongings on the luggage cart. Thankfully, she found clothing that I did not realize I had left on the top closet shelf. A grateful shout out to Bob the Nurses Assistant aide who found my pillow that I had brought from home and put on the luggage cart just before I left. Also, many thanks to Ericka at the front desk, who called me after I got home to inform me that I had left some mail in a drawer and that they would be forwarding it to me. I made many friends with the Country Club like atmosphere at Medilodge. For which, I am eternally grateful since Medilodge is literally going to be my home away from the house as I recover during the next year, from another hip surgery and 2 knee surgeries. In conclusion, Ephesians 2:20 says “ Glory be to God! By His mighty power that works within us, He is able to accomplish infinitely more than we would ever dare to ask or hope.” This promise prayer was more than answered during my exceptional recovery stay at Medilodge. I would like to recognize Kerri Georgia who works in the 400 Hall of the Alzheimer’s unit. My aunt Bernetta Brooks is a patient. When Kerri is in charge of Bernetta, she is so put together, clean and happy. I feel Kerri is the Epitome of how a caretaker should do their job. She seems so kind, gentle and genuine, for all these reasons I feel she deserves recognition. The job of caregiving is sometimes thankless, and I am sure caregivers can become not as compassionate and caring on the job. It really makes Bernetta’s family feel so much better when we see her looking and feeling good. I bring my mom who is Bernetta’s older sister. She is 87 years young, and at times when she has seen her sister in not good condition; it really takes a toll on her emotionally. So I am so happy when we have a good visit. THANK YOU, KERRI for your EXCEPTIONAL CARE AND KINDNESS. This is the best place! The whole team really stood out—especially Felisha and Jackie! This is the best VA building in Monroe! I am just so happy here. The therapy team was great. All of the nurses were friendly and right there when you needed them. I chose MediLodge of Monroe because my mother was here years ago and she was always pleased. The kitchen team and the rehab team really stood out to me. There was always plenty of good food and everyone was always helpful. Medilodge came highly recommended from my sister in law who worked here for 24 years. All of the girls in the Physical Therapy department really stood out. I loved their happy faces and I will miss them. There are so many positive points in my stay. The therapy department is my favorite but the spirit of all the aides and nurses are beyond helpful. I would recommend this place tenfold! Everything was nice and all the people are really nice. Some team members who really stood out were Brandy (Nurse), Tanetria, Baily Lauren, Mary, Mrs. Linda Fave, and Tassen. Everyone was good to me and I love all of these people, including the therapy people. My aunt was placed here in March of 2017 and she said everyone is great and she’s very happy here. In nursing, John B. really stuck out. Everyone I’ve come in contact with from administration to dietary has been very professional and they make you feel like family. We at Medilodge of Monroe can talk all day long about the quality of our nursing care and rehabilitation therapy. Fortunately, so can our lodgers. And they do – frequently,... Read More... Sandra R.
We at Medilodge of Monroe can talk all day long about the quality of our nursing care and rehabilitation therapy. Fortunately, so can our lodgers. And they do – frequently, at length, and enthusiastically! We’ll let their testimonials speak for themselves. There are more where these come from, too. If you’re evaluating who can best provide for your recovery or rehabilitation, contact Medilodge of Monroe to learn more about what our lodgers think of us. "I've been here several times! I know most of the aides. I always recommend this place to people because of the care that I get when I am here. 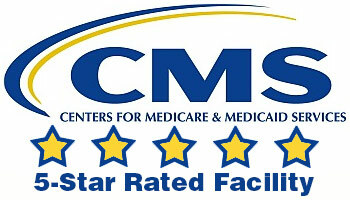 Thank... Read More... Dorothy C.
"My father had excellent care here. Thank you for everything you did for him and our family. Medilodge has been great and did a lot to help us get our... Read More... Edward C.
Medilodge is the most favorable, relaxing, warming, friendliest, pleasant nursing home I've ever been too.All the staff is so great here. Thank you for the wonderful care." Read More... Beverly P.
After hearing several recommendations from the community I chose Medilodge of Monroe for my rehabilitation home. I am impressed with the high quality of care, costumer service & nutritional meals. The Occupational & Physical Therapy Department is outstanding, they have been crucial to my recovery. My thanks to Medilodge of Monroe!